Many will have heard in recent days about the recently released Netflix show, ‘13 Reasons Why’. The show is the story of a girl who suicides, leaving tapes for her classmates which place the blame on them. 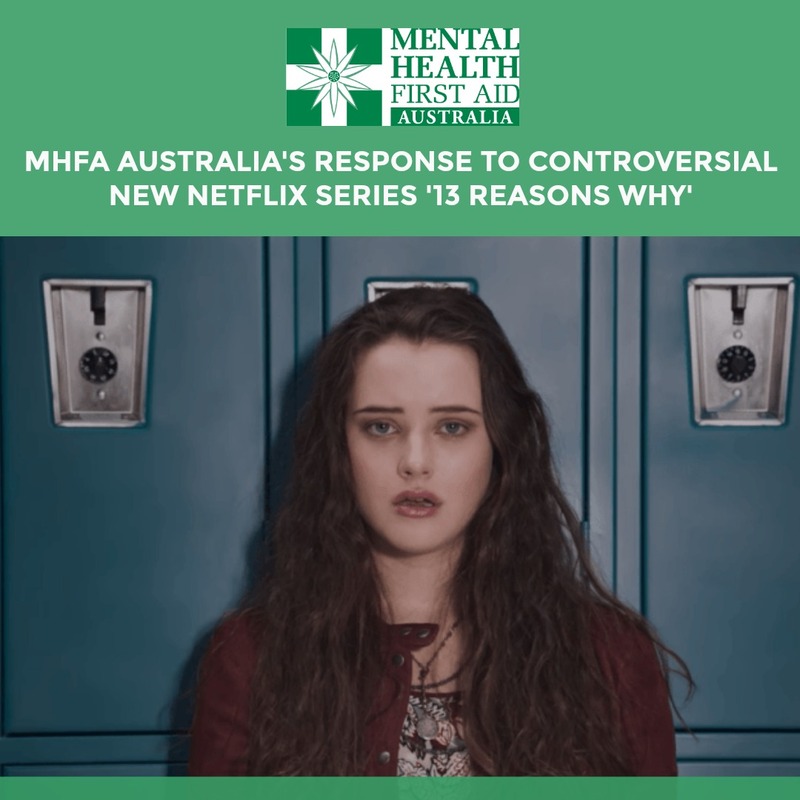 Youth mental health and suicide prevention services worldwide, including us at MHFA Australia, have expressed concerns about the show, especially the graphic nature of some of the scenes. Dr Claire Kelly, Youth Programs Manager says, "Telling young people they shouldn’t watch it may reinforce the idea that suicide shouldn’t be discussed. Instead, it’s important for the adults around them to be ready to talk to them about the content, and about what they should do if they or one of their friends needs help." 1. Possible discussion points about the show. It is by no means exhaustive. Download. 2. Summary of the plot and explanation of what material may be distressing or even triggering for vulnerable young people. Download. Nataly Bovopoulos, Acting CEO, (03) 9079 0202.